For my second visual assignment, I decided to do Classic Album Makeover. 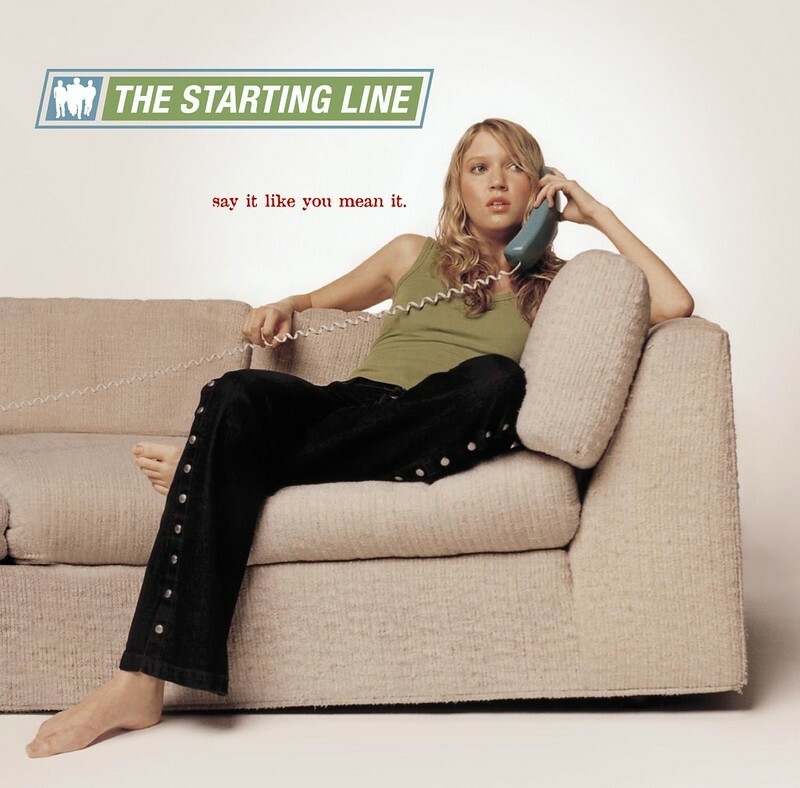 While, it’s hard to say whether The Starting Line’s album Say It Like You Mean It counts as “classic,” it was released in 2002 and could use some updating. The jeans and phone really says early 2000s here. And so does the music. A lot of the songs talk about calling a girl. Texting isn’t how it is today; phone calls are how you keep in contact, make plans, etc. That being said, I was happy that I owned a green tank top and dark wash jeans (sans buttons) and that the case on my iPhone is a similar color to the phone. There’s also a brown/tan couch in my house. So I was able to replicate the picture pretty closely. My good friend, Ginny, took the picture for me (under my guidance) and then I worked some not-too-bad magic in GIMP. In GIMP, I pasted in the band logo and the title of the album from the picture of the original album color. In hopes of giving the new album cover a similar neutral background, I erased everything. Of course, I didn’t get it all, but I about went insane doing what I did. So. Much. White. I’m really proud of what I created, even if it isn’t perfect. I think it’s a really cool update to an awesome, simple album cover and it really highlights how technology has changed and the role technology plays in music. Tagged ds106, VisualAssignments, VisualAssignments1263, wire106.